Until now, virtually every report published on the subject of investor relations has examined the function from the vantage point of institutional investors. While the insights provided by the investor community are useful, the profession and broader community stands to benefit greatly by examining the IR role from the vantage point of the women and men providing investor relations services from inside investment management firms. During the second quarter of this year, Imagineer conducted our 2018 Annual Investor Relations Survey. 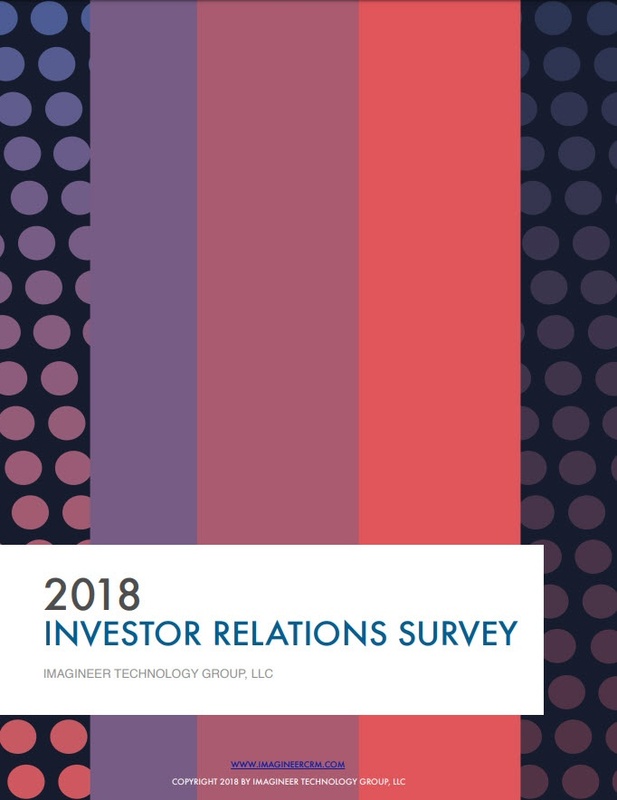 The survey, administered over a period of two months, presents the views of investor relations professionals of all experience levels at more than 100 hedge funds, private equity, and traditional asset management firms ranging in assets under management (AUM) from under $250 million to more than $30 billion. The survey aims to help the community of IR professionals to share insights and best practices along with their collective vision for where the investor relations function is heading in the future. Specifically, the report showcases answers regarding the role of strategy and the importance of proactive communication in investor relations, as well as touches upon the challenges IR professionals are currently facing.